Store big beverages like milk jugs, juice cartons or a six pack and keep them within reach! 28-inch W 16 cu. ft. Top Freezer Refrigerator in White There's more than enough room to fit all of your food with the generous storage capacity of this 16 cu. ft. top-freezer refrigerator. You'll find plenty of places to store everything with a full-width crisper bin, gallon door bins, compartments and shelves that fit your needs. Easily change temperature settings without having to reach to the back of the refrigerator, thanks to up-front temperature control. Plus, you'll save energy and money with our lowest-energy-consuming refrigerator ever. 28-inch W 16 cu. 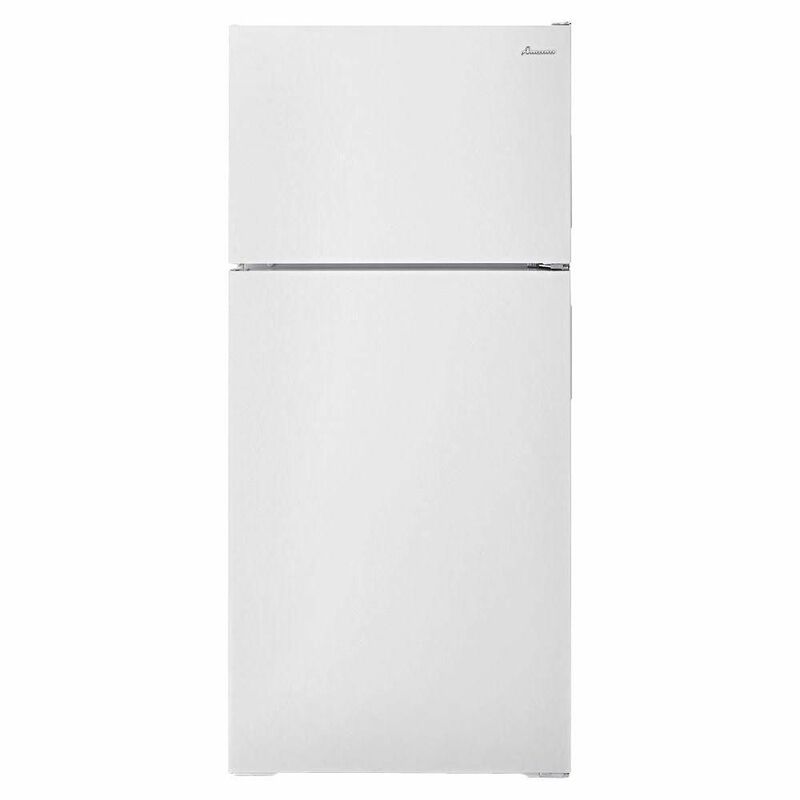 ft. Top Freezer Refrigerator in White is rated 3.7 out of 5 by 3. Rated 5 out of 5 by Notone from Great fridge Bought as an extra for our basement. It’s exactly what we needed for a great price! Rated 1 out of 5 by Homemaker from Worst fridge ever My parents bought me this fridge for our apartment 4 years ago. 3 years ago we moved to a house and had to switch the door to the other side of the fridge. It has never worked the same since. We’ve tried tilting the fridge, and various other things but the fridge stays open a crack 100% of the time which means our food freezes in some places and in others it’s not cold enough. I called Amana a while ago and they said they could do a service call for a charge and see what they could do, and that it was not covered under warranty, but we all know service calls cost a fortune as well. Not pleased. Rated 5 out of 5 by Frankie from Great Freezer I bough freezer about 2 months ago and it is working beautifully. Love that I'm able to see what we have just by opening the door.